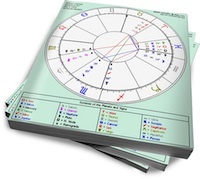 There’s a lack of understanding between these two, as Sun in Virgo focuses on precision and Moon in Gemini flits from one feeling to the next. However, both share a desire for communication, and this could be what helps them work though the inherent tension of this relationship. Sun in Virgo likes things to be just so. He’s got an eye for detail, and has a specific idea of how tasks should be handled. His partner should understand that his routines are sacred; he is OCD about household tasks and keeping his possessions in a certain order. Sun in Virgo wants a partner that shares his love of communication, but he’s not interested in talking about just anything. His discussions usually have a purpose, and this will involve correcting, improving or analyzing something. Shadow Virgo will emerge when he’s stressed, manifesting as nagging (of his partner) or repetitive, “what if” worries. Moon in Gemini needs a constant flow of new information. She gets bored easily, and a sure sign of this is extreme emotional restlessness. Moon in Gemini needs a partner who will talk with her, but she prefers to keep things light. She’ll step back and intellectualize what’s happening when dealing with relationship issues. Talking is how she bonds, but sharing juicy gossip, or an interesting fact, feels more comfortable than a deep exploration of feelings. Both of these signs are ruled by Mercury, so they’ll be drawn to each other’s love of information. But Sun in Virgo will quickly become rattled by Gemini’s wandering attention, and Moon in Gemini will get bored when Virgo grinds away at one detail. But if they can approach their relationship as a puzzle to be solved — while keeping the lines of communication open — they might reach an understanding. The key is for them to keep talking, even when one becomes frustrated with the other’s conflicting approach.